This Friday is Red Nose Day, the main fundraising event in support of Comic Relief, a charity that supports projects in the UK and Africa. As well as supporting a worthy cause, on another level, I think the event also promotes our nations better nature: the inventiveness of our fund-raising activities, our love of comedy and our willingness to support good causes. The highlight of every Red Nose Day, is the live telethon shown throughout the evening on BBC One. Eight hours are set aside for a show filled with specially filmed sketches from popular comedy programmes, live musical performances and stunts performed by comedians upon reaching certain fund-raising targets. If this isn’t enough encouragement to donate, short films from Africa and around the UK demonstrate where your money ends up, and the difference to peoples life it can make. Yet in our celebrity obsessed media landscape, I wonder if the novelty of such a star-studded night has worn off. In recent years the main show has typically involved the conclusion of special celebrity versions of reality shows (Fame Academy, Driving School, The Apprentice…), but these are formats already beaten to death throughout the rest of the year. Perhaps it’s worth nothing that it was Comic Relief that introduced us to the format of celebrity-based reality shows, as the first series of Celebrity Big Brother was shown on the BBC in aid of the charity in 2001. Regardless of the methods used to entertain us, I’ll certainly be donating on the night, and I encourage you to do so as well. 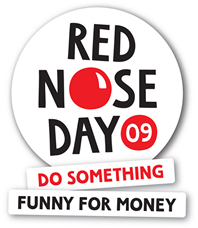 You can even donate right now on rednoseday.com, so what are you waiting for!